There are things you know you should do to make your life easier and prevent bigger problems. Maybe it’s meal planning to save money on crappy takeout. Maybe it’s buying better tires because you can see that the weather is changing for the worse. Or maybe it’s setting up two-factor authentication on your accounts so your business doesn’t get hacked. Technology mistakes cost businesses big, and they can also keep them from experiencing growth, staying relevant, and realizing their full potential. The upside? Some of the most common tech mistakes that businesses make are also the easiest to fix. If you’re still limping along with any of these misguided practices, it may be time for a change. You’re stuck on the ground. It’s great to have your feet firmly planted on the ground, right? Well, not always. If you’re talking about tech, it’s good to spend some time in the clouds. Large cloud providers provide benefits through infrastructure, data access from anywhere, and higher levels of service. David Wagner, CEO and president of cybersecurity company Zix, says cloud providers typically provide vigorous security, a priority for any organization that wants to remain competitive. When you move to the cloud, you can save money by kicking your dusty old servers to the curb while still commanding the strong security and technical expertise of cloud providers. Your single password is the name of your pet. If you’re skipping that pesky password update and two-factor authentication, you’ve saved yourself about 90 seconds of your life — while making your business a sitting duck. There’s no excuse for not having a more secure login process. Two-factor authentication requires you to use a password to login as usual, but goes one step further and forces you to confirm the login via a text message or phone call. So why all the fuss? Two words: security breach. When it comes to cyberattacks such as Heartbleed and WannaCry, no one is safe. From the everyday Joe to the largest businesses in the country, data breaches are ubiquitous. Fortunately, with Google Authenticator, Facebook Code Generator, LastPass, and other two-factor authentication and password management systems, it’s getting easier to protect your business. The implications of a breach are simply too significant to ignore the tools available to you. You’re the expert who knows everything. Technology is highly dynamic. That means that training within a company must continually evolve. If you don’t focus on keeping up, the amount of new information produced by the tech world would short-circuit your brain before you even had time to finish your morning coffee. The only way to stay on the cutting edge of the technological evolution is to routinely sharpen that blade. Give yourself and your staff as much training as possible, not only on new technologies, but on systems currently in use as well. According to some estimates, office workers fully grasp less than 20 percent of the features available in the software applications they use. That’s lost potential. Training takes time, but it leads to better, more streamlined workflows. It teaches staff how to automate repetitive tasks by using features they already have at their fingertips. When you accept that you and your business will be lifelong tech learners, you’ll stay one step ahead of the pack. You think you’re smarter than robots. More businesses every day are jumping on the artificial intelligence bandwagon, and for good reason. AI can help optimize business operations, sift through huge amounts of customer data, and capture information that can help you make better decisions. If you think you can do it better, you can’t. None of us can. The robotic takeover of the manual, repetitive, and number-crunching tasks of our businesses is inevitable. You can use this development to your advantage, or you can attempt to fight off the robot revolution. But honestly, you’d be better off joining forces. Businesses are already taking advantage of the benefits of AI with chatbots, personal shoppers, big data analysis, marketing research, and more. Take note of what your competitors are doing with AI, and follow suit. If you’ve ever lost a work presentation right before a big meeting, you understand the importance of data backup. But somehow, even though we’ve all been there at one time or another, a Carrier Access report found that a whopping 75 percent of small businesses still don’t have a disaster recovery plan in place. In fact, only 25 percent of small businesses are entirely confident that their data could be restored if it were destroyed or stolen. Businesses lose huge amounts of data every day because they either didn’t have reliable backup or failed to make sure it was running correctly. If you think it won’t happen to you, it will. Set up data backup for your business, verify that your mission-critical information is included in that backup, and perform tests periodically to make sure you can restore your data successfully. Outdated technology practices will keep your company mired in competitive quicksand. 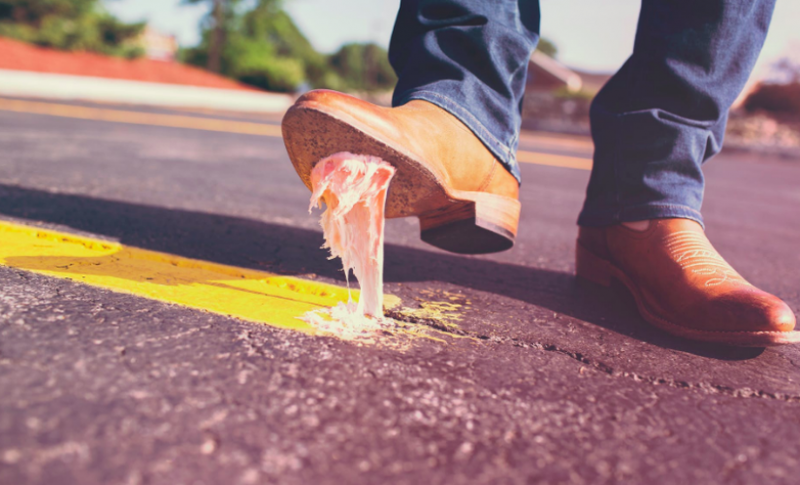 To return your business to solid ground, begin by addressing these five tech mistakes.